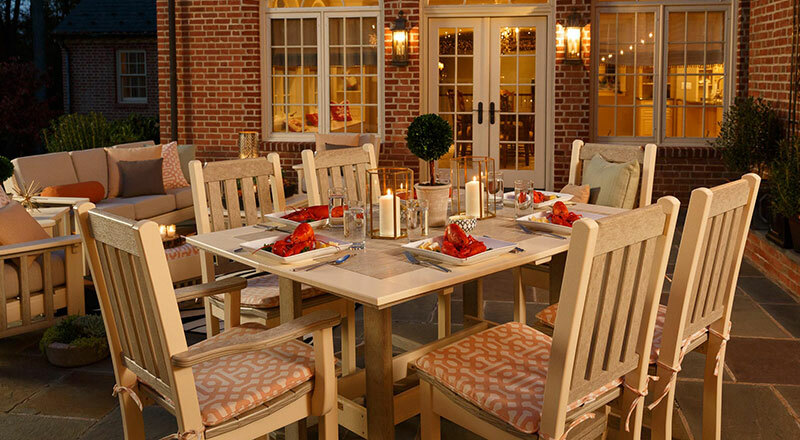 Why Choose Outdoor Poly Furniture? Using Mortise & Tenon construction not only creates a very durable connection, but it also helps to hide most of the screws and fasteners which are stainless steel and rust resistant. We are proud to offer a product is that made right here in the USA. 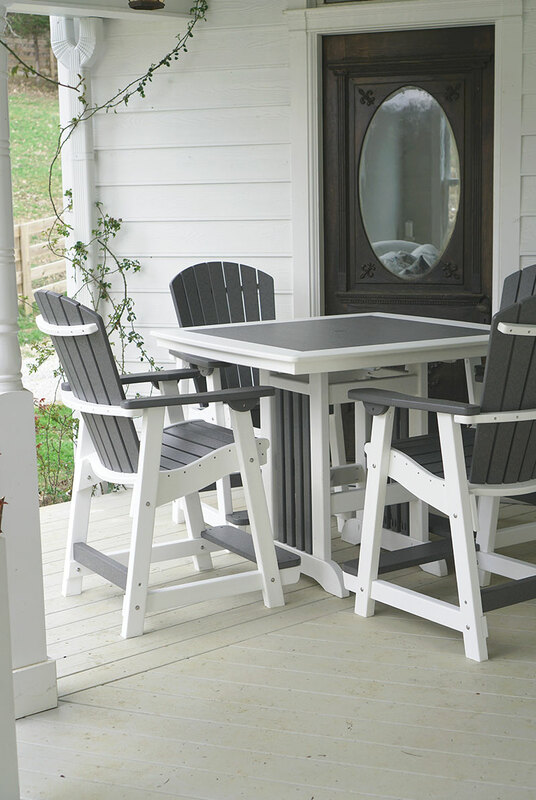 We only use skilled Amish craftsman to bring you the highest-quality furniture. Forget decay, discoloring, and mold. 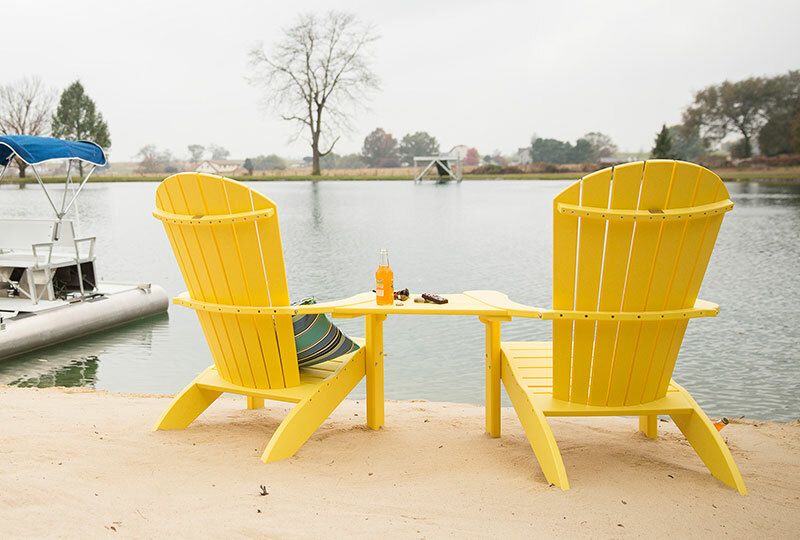 Our furniture is engineered from recycled plastics to endure the elements and will never rot or splinter. Comes with a 20-year residential warranty. 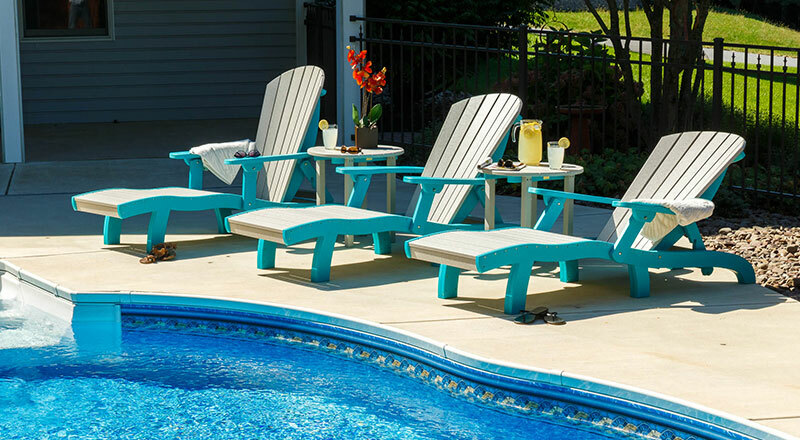 Our poly furniture is built by Amish Craftsman right here in the U.S.A. and is made from an extremely high performance polymer that doesn’t require sealing, painting or staining. It will not rot or splinter, and contains UV inhibitors that resist fading. It contains no filler that would cause moisture absorption and promote bacterial growth. 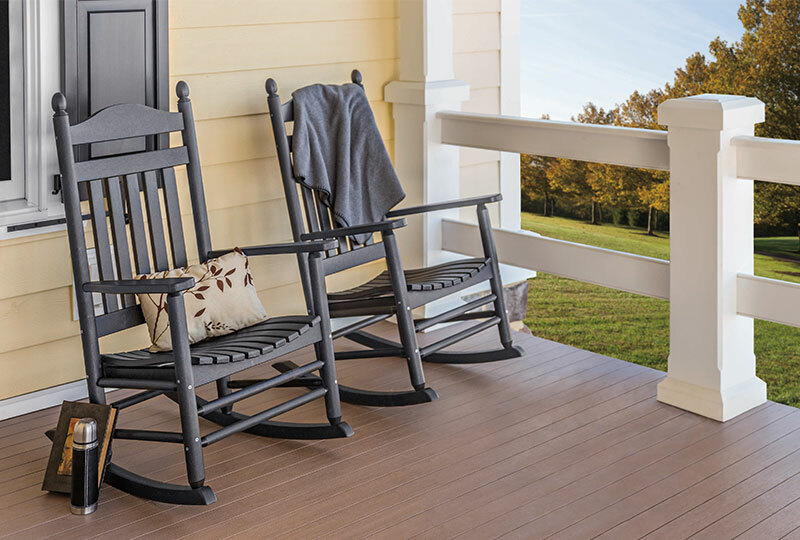 With a 20-year residential warranty and 5-year commercial warranty, you can completely equip your outdoor space with confidence knowing that it will last for years to come. 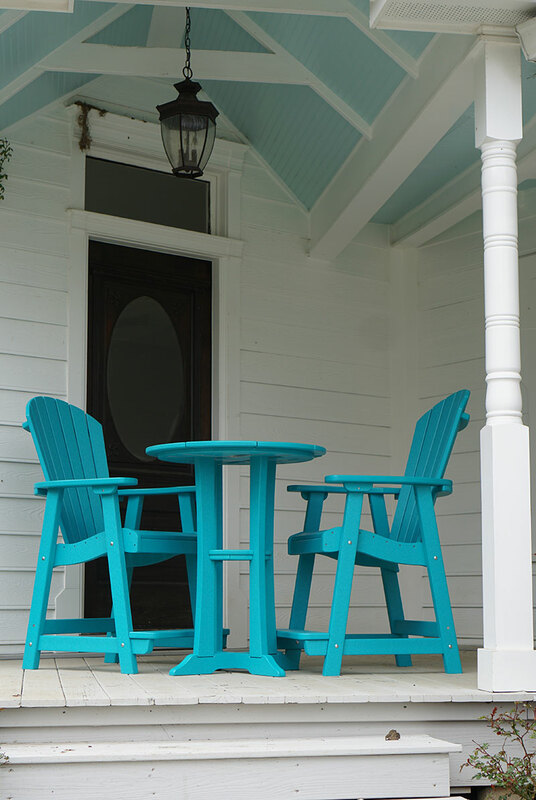 Our furniture is a green product made from recycled plastic materials. The plastic lumber is a combination of consumer waste and industrial by-products which would normally be disposed of in landfills.